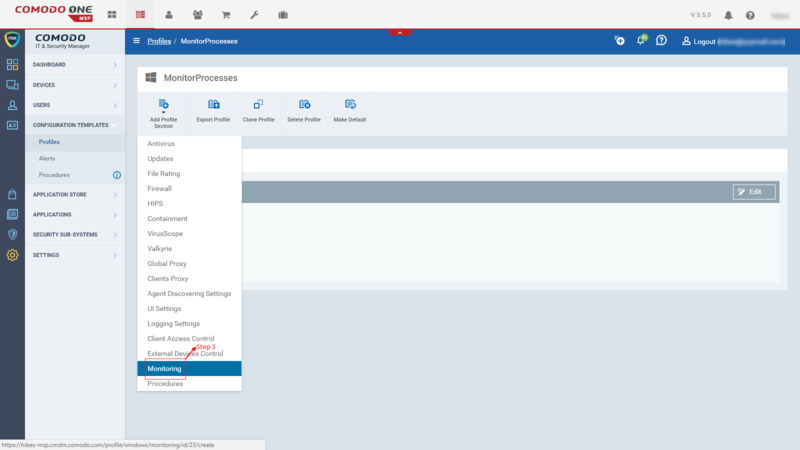 What is ‘Monitoring’ in ITSM profiles ? 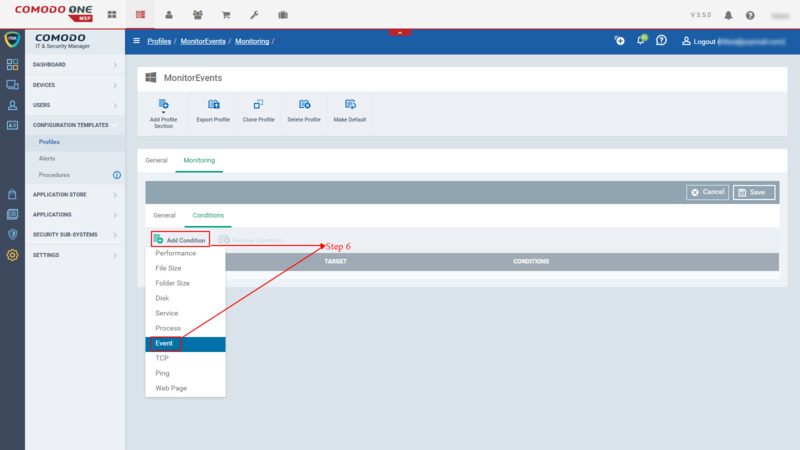 Monitoring settings allow administrators to define performance and availability conditions for various events and services. For example, you can monitor free disk space, service and web page availability, CPU/RAM usage and more. An alert will be triggered if the conditions are breached. You can also configure procedures to take remedial actions immediately. How to configure ‘Monitors’ in profiles? Step 1. Go to Configuration templates > profiles >Click “Profile” applied to device that requires monitoring. Step 2. Choose ‘Monitoring’ from the ‘Add Profile Section’ drop-down. The ‘Monitoring’ screen will be displayed. 1.’Monitoring Name’ – Enter name for the monitoring configuration. 2.’Description’ – Describe few words about your monitoring configuration. a.’ Any of the conditions are met ‘- Choose this option if you want alert when any of the condition satisfied. b.’All of the conditions are met ‘- Choose this option if you want alert when all conditions satisfied. 4.’Use alert settings’ – Select “Alert settings” from search box for this monitor. b.’Run below procedure’ – Select “Procedure” from search box to run upon alert. Step 4. Click ‘Add Condition’ . Select condition from drop down menu shown. 1. For example : Select “Ping” condition to monitor ping status for the host. 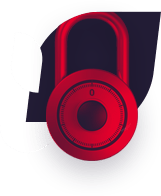 1.’Host Name’ – Enter host machine name or IP address to be checked. a.’is down’ – Select this option if you want to generate alert when host is down. b.’is online’- Select this option if you want to generate alert when host is available. 3.’During’ – Specify time period for which condition to be monitored . a. Select ‘sec’ to monitor condition for specified seconds. b. Select ‘min’ to monitor condition for specified minutes. 4.Click ‘Create’ to save changes. Step 6. Repeat step 4 to add additional conditions to the monitoring. All monitor conditions will be listed for each ‘Monitoring’. Step 7. To remove a monitoring condition, select the check box beside it and click ‘Remove Condition’ at the top. Step 8. Click ‘Save’ to apply changes for the monitoring. Monitoring conditions will be applied to devices where current profile applied. How to check monitoring logs? Step 4: Go to Tickets tab and find all tickets which are raised by the monitor. 1. Use the ticket-URL to check out the details of the ticket. How to monitor CPU/RAM/Network performance in devices? Performance monitor checks the usage of CPU, RAM and Network on devices and trigger an alert if the conditions are met. Step 2. i. 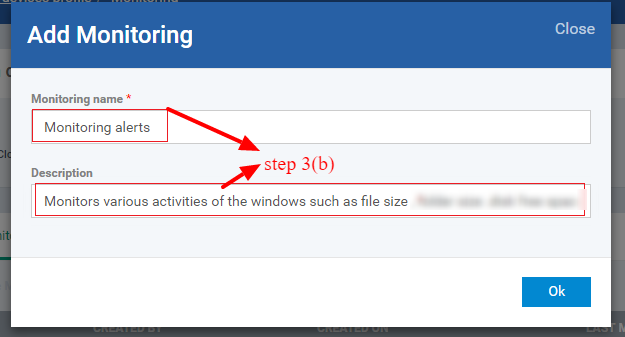 Go to Step 3 for existing monitoring configuration. ii. 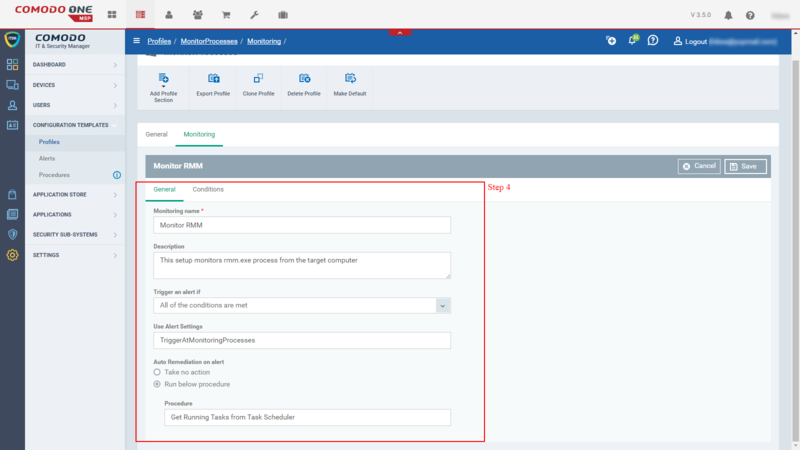 To create monitoring, add monitoring component from ‘Add profile option’ and configure monitoring settings. 1. ‘Monitoring Name’ – Enter name for the monitoring configuration. 2. ‘Description’ – Describe few words about your monitoring configuration. 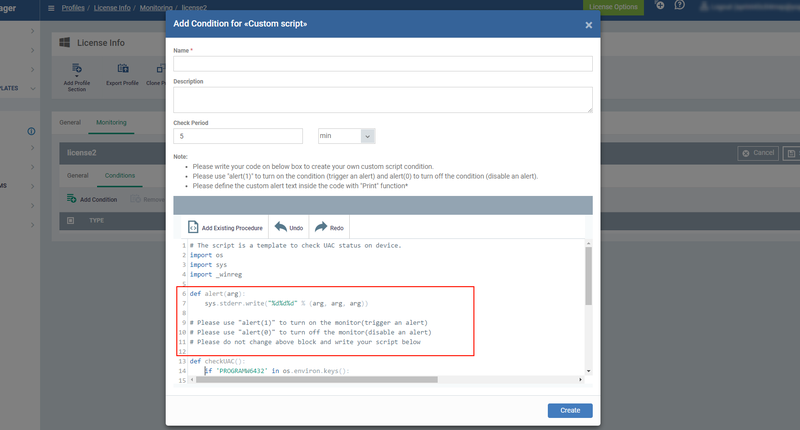 a.’ Any of the conditions are met ‘- Choose this option if you want alert when any of the condition satisfied.b.’All of the conditions are met ‘- Choose this option if you want alert when all conditions satisfied. Step 5. Click ‘Add Condition’ Select ‘Performance’ condition in drop down. a. Select ‘CPU Usage’ to monitor conditions for ‘CPU’ performance for the given time period. This parameter can be monitored in Percentage units. b. Select ‘RAM Usage’ to monitor conditions for ‘RAM’ memory usage for the given time period. This parameter can be monitored in Percentage,Megabytes and Gigabytes Units. c. Select ‘Network Usage’ to monitor conditions for ‘Network’ usage for the given time period. This parameter can be monitored in Percentage units. a. More than – Select this condition to trigger alert if greater than specified value reached. b. Equals to – Select this condition to trigger alert if parameter equals specified value. c. Less than – Select this condition to trigger alert if parameter value down to less than specified value. d. More than or equals to -Select this condition to trigger alert if parameter equals specified value as well as exceeds the specified value. 3. Value – Specify threshold value for the parameters with desired units. Value should be in numerical. a.% – Select % to monitor parameter condition in Percentage units. b. GB – Select GB to monitor parameter condition in Gigabytes units. c. MB – Select MB to monitor parameter condition in Megabytes units. 4. ‘During’ – Specify time period for which condition to be monitored. a. Select ‘RAM usage’ option under parameter. c. Enter 600 in the value and choose ‘MB’ as value type. 6.Click ‘Create’ to save the monitor condition. Step 7. The monitoring parameters added for the profile will be listed. How to Monitor Processes in devices? Step 2: Choose profile if exist, if not exist then create a new profile then continue. Step 4: Fill the form of General tab. Step 5: Select ‘Conditions’ tab. 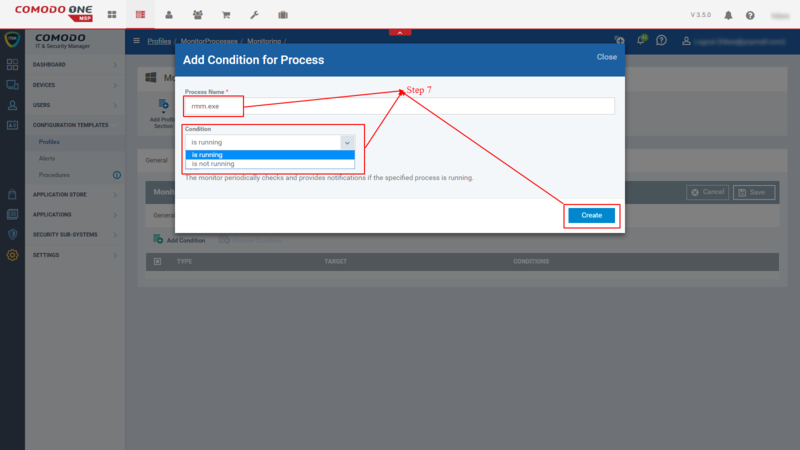 Step 6: Select ‘Process’ from ‘Add Condition’ button. Step 7: Fill the pop-up form loads there. Step 8: Click ‘Save’ button to save the Monitoring Settings. Step 9: Go to ITSM > Devices > Device List. Step 10: Select any Device from the list. How to Monitor Events in Devices? Step 1: Go to ITSM > Configuration Templates > Profiles. Step 3: Select ‘Monitoring’ from ‘Add Profile Section’. Step 6: Select ‘Event’ from ‘Add Condition’ button. 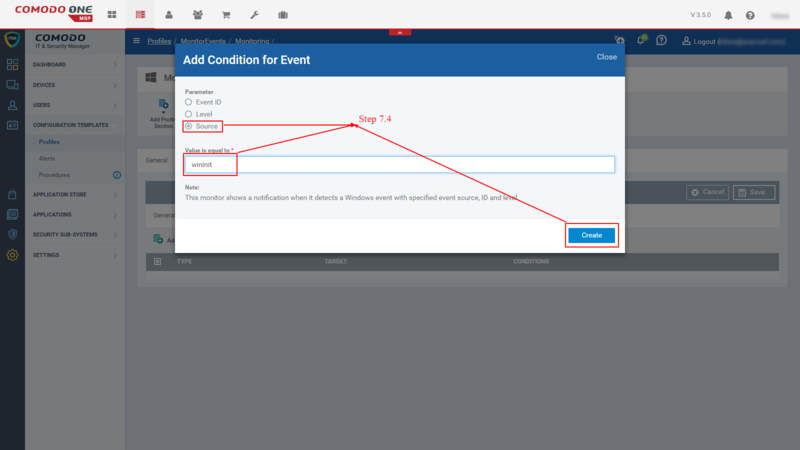 **Repeat the step 6 and step 7 to create monitor for multiple events. Step 8: Save the monitoring. 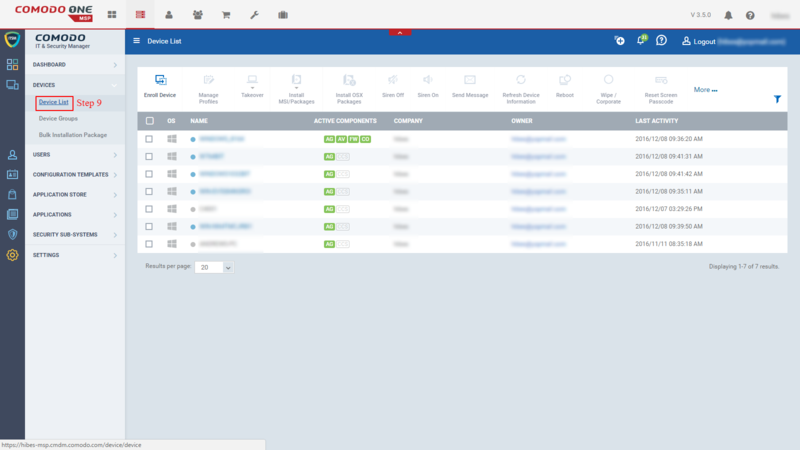 Step 11: Click Manage Profiles. How to monitor a TCP connection from Devices? 1. 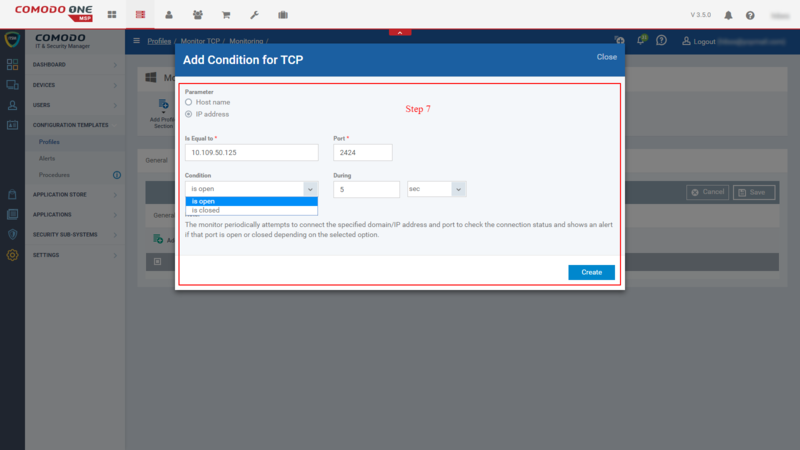 Select Hostname or IP Address from Parameter. 5. Enter the required number of seconds or minutes in ‘During’. Step 12: Click Add Profiles. How to Monitor content of a web page from Devices? 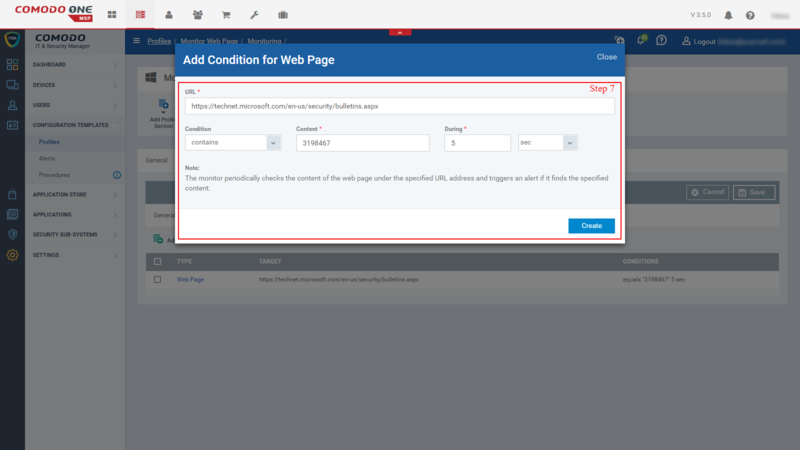 Step 6: Select ‘Web Page’ from ‘Add Condition’ button. How to monitor File Size in devices? Monitors changes in the size of a file and also triggers the alert when the specified conditions are met. Step 1: To Set Monitoring, Go to ITSM ? 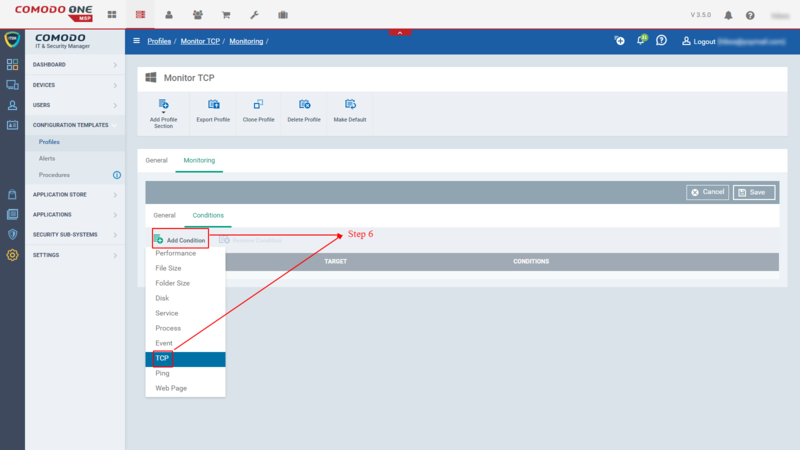 Configuration Templates and click Profiles. 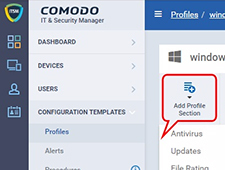 Step 2 : Choose the profile of your device from the list and if the profile does not exists, create a new profile and continue. 1. Add Monitoring Column by Clicking “Add a Profile Section “ -> Monitoring. 2. Go to Monitoring tab -> “Add Monitoring “ and Enter the Name for monitoring and its Description in their respective fields. 2.Apply the custom alert created for the monitoring using “Use Alert Setting. Example: File size. 3.The remedy action for the triggered alert can be set by technician by either opting to “Take no action” or choose run below procedure for fix using ‘Auto remediation alert’. a. Take no action – No remedy action are defined for the triggered alert. b. Run Below Procedure – Assign procedure as a remedy for the triggered alert by entering the name in the respective field. Example : Clean Up Downloads folder in all User Accounts. 1. Click ” Add Condition ” and select File size. a. Less than – Alert triggers when the file size is less than mentioned value . b. Equal to – Alert triggers when the file size is equal to the mentioned value. Step 6: Click ‘Create’ and the monitoring parameters will be listed. Step 7: Click ‘Save’ to apply changes. Step 8: Go to Devices -> Device List. Step 9: Select a Device. Go to Manage Profiles -> Add profiles -> select a profile name and save. How to Monitor Folder size in Devices? Monitors changes in the size of a folder and also triggers the alert when the specified conditions are met. 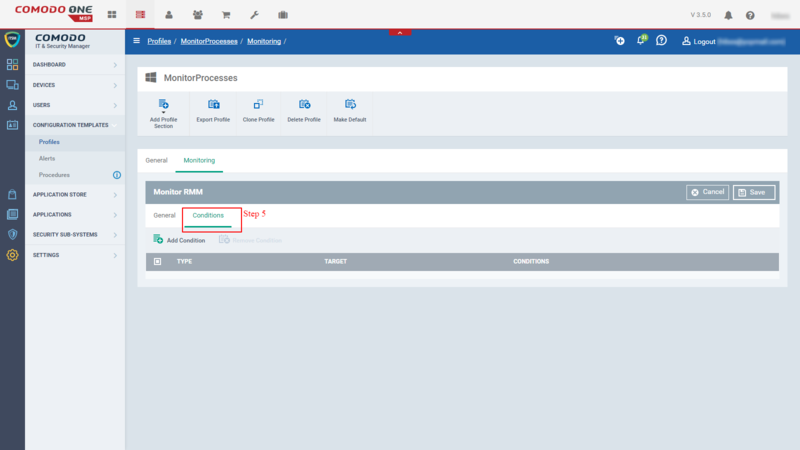 Step 1: To set Monitoring, Go to ITSM ? Configuration Templates ->Profiles. Step 2 : choose a profile of you device and if the profile does not exists create new profile and continue. 1. Add Monitoring Column by clicking “Add a Profile Section“ -> Monitoring. 2. Go to Monitoring tab -> “Add Monitoring“ and Enter the Name for monitoring and its Description in their respective fields. 2. Apply the custom alert created for the monitoring using “Use Alert Setting. Example: Folder size. a. Take no action – No remedy action are defined for the triggered alert . b. Run Below Procedure – Assign procedure as a remedy for the triggered alert by entering the name in the respective field. c. Example: Clean Up Downloads folder in all User Accounts. 1. Click ” Add Condition ” and select Folder size. Step 8: Go to Devices -> Device List . How to Monitor Disk Free space in devices? Monitors changes in the available free spaces in the disk and also triggers the alert when the specified conditions are met . 2. Apply the custom alert created for the monitoring using “Use Alert Setting. Example: Free disk space. b. Run Below Procedure – Assign procedure as a remedy for the triggered alert by entering the name in the respective field. Example : Clean Up Downloads folder in all User Accounts . a. Free space left on system drive – The alert triggers when the free spaces left on system drive reached the mentioned condition . Step 9: Select a Device . Go to Manage Profiles -> Add profiles -> select a profile name and save. How to monitor Services in devices? Step 2: Choose a profile of you device and if the profile does not exists create new profile and continue. 2. Apply the custom alert created for the monitoring using “Use Alert Setting. Example: Services. 3. The remedy action for the triggered alert can be set by technician by either opting to “Take no action” or choose run below procedure for fix using ‘Auto remediation alert’. b. Run Below Procedure – Assign procedure as a remedy for the triggered alert by entering the name in the respective field. Example: Clean Up Downloads folder in all User Accounts. 1. Click ” Add Condition ” and select Service. Step 6: Submit the parameters by clicking ‘Create’ button. Step 7: Click ‘Save’ button. Step 9: Select a Device. Go to Manage Profiles -> Add profiles -> select a profile name and click Save icon. How to Monitoring the Ping in device? Step 2 : choose profile of your device and if the profile does not exists create new one . Example: Monitor Processes. a. Is Down – when the system is going down , the alert will be triggered. b. Is Online – When the system is going Online , the alert will be triggered. Step 7 Click ‘Save’ to apply changes. 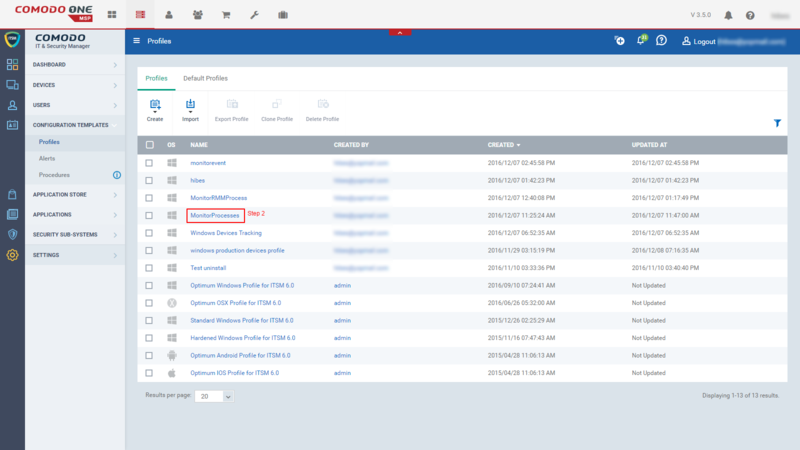 The state of availability of a device can be known by setting the “Device status” monitor in ITSM. 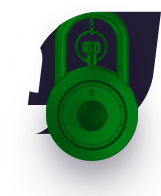 This monitoring allows the user to check whether the device is connected or disconnected for a certain amount of time. If the condition achieved, the user will be notified with an alert. In addition to triggering an alert, a user can call a procedure automatically as an act of remedy. Device Online status can be checked for devices of sales representative who uses devices for limited period of time. Device offline status can be checked for server devices which is set be always up. 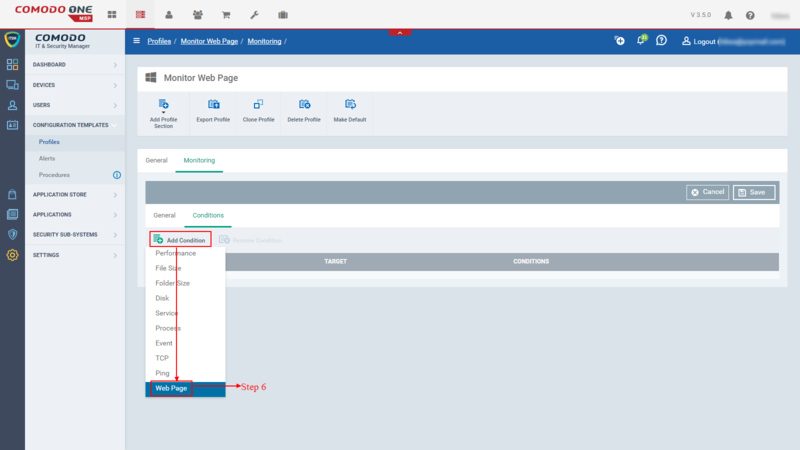 Step 1: To set Monitoring, Go to ITSM ? Configuration Templates ?”Profiles” menu and go to “Profiles” Tab. Step 2: Choose a profile applied to your devices which requires monitoring for online/offline status. Example: Standard Updates Management Profile. i. 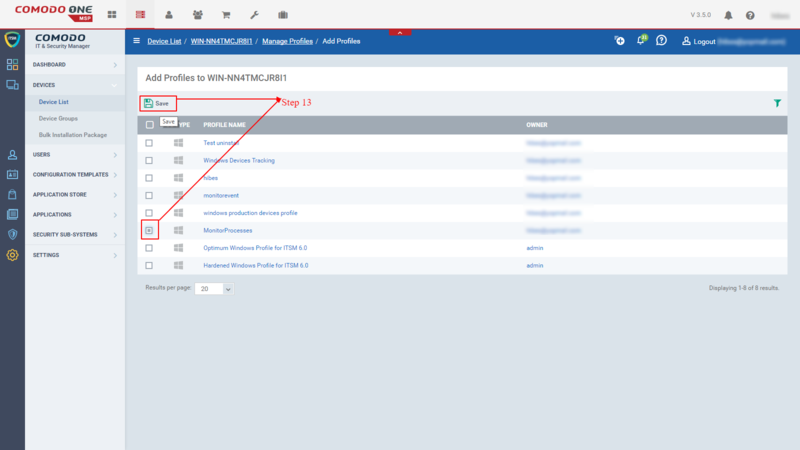 Add a monitoring column to the profile by clicking “Add a Profile Section“ -> ‘Monitoring’. ii. Go to ‘Monitoring’ tab -> “Add Monitoring“ and enter the Name for monitoring and its Description in their respective fields. i. Any of the conditions are met – when any of the conditions that you have mentioned is met. ii. All of the conditions are met – when all of the conditions that you have mentioned are met. 2. Apply the custom alert created for the monitoring using “Use Alert Setting. 3. The remedy action for the triggered alert can be set by the technician by either opting to “Take no action” or choose run below procedure for fix using ‘Auto remediation alert’. i. Take no action – No remedy action are defined for the triggered alert. ii. Run Below Procedure – Assign an existing procedure as a remedy for the triggered alert by entering the name in the respective field. Click ” Add Condition” button and Device Status from the drop-down. In the ‘Add Condition Dialog’ box, set the conditions and click ‘Create’ button. iii. Period-Enter the time period in the text box. If the device is in offline for more than the defined time period the alert will be triggered. Step 6: Click ‘Save ‘button to apply changes to Monitoring. The created ‘Monitoring’ will be listed. The “Custom script” which will be available now in the “Monitoring” will help you to receive an alert by giving your own conditions. 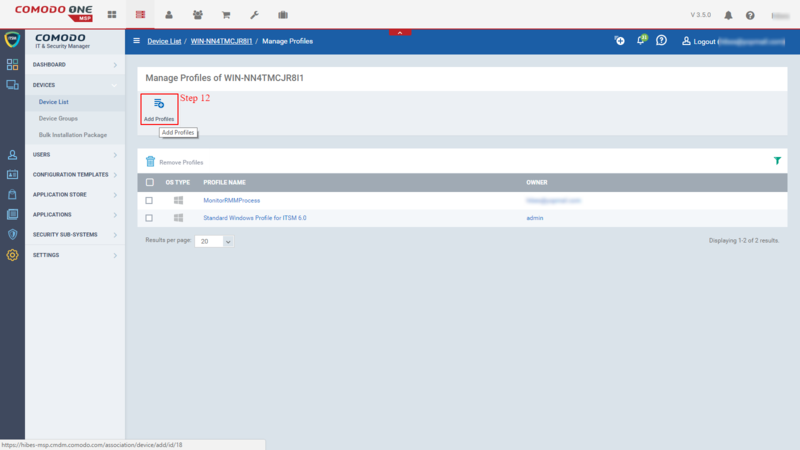 It helps you create your own Custom script for monitoring, Alerts you if the condition has met and also generates the Tickets. Step 1: Go to ‘Configuration Templates’ > ‘Profiles’ > click “Profile” applied to device that requires monitoring. Step 2: Choose ‘Monitoring’ from the ‘Add Profile Section’ drop-down. The ‘Monitoring’ screen will be displayed. a. ‘Monitoring Name’ – Enter name for the monitoring configuration. b. ‘Description’ – Describe few words about your monitoring configuration. d. Any of the conditions are met ‘- Choose this option if you want alert when any of the condition satisfied. e. All of the conditions are met ‘- Choose this option if you want alert when all conditions satisfied. f. ‘Use alert settings’ – Select “Alert settings” from search box for this monitor. 1. Script name – Enter name of the script. 2. Description – Describe few words about your monitoring. 3. Check Period – Specify time period for which condition to be monitored. 4. Note – Please read Instructions carefully. a. Write your code on below box without disturbing. b. To run a script as custom monitor, It has “alert” function definition as default. Check an example script. c. To create an alert based on a condition call, call “alert” function with arguments “1” i.e. ( “alert(1)”) should be given to trigger the alert. d. To disable the alert based on condition call, Call “alert” function with arguments “0” i.e. (“alert(0)”) should be given. Reference: Here you can refer a sample code. print "Your windows is Activated." print "You need to Activate your windows." Step 6: Click on “Save”, to save your Custom script. Step 7. 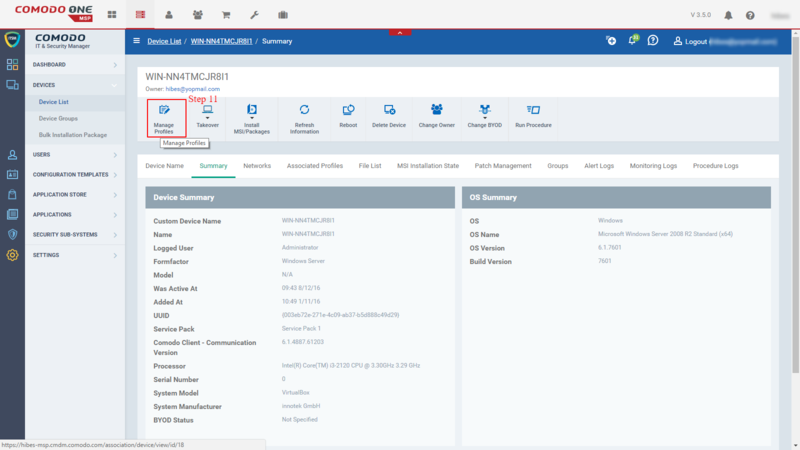 Go to ITSM → ‘Devices’ → ‘Device List’ menu and click “Device Management” tab. 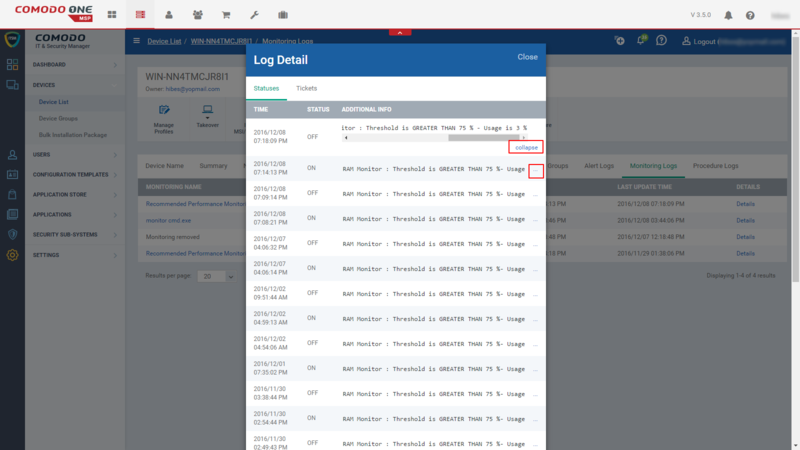 Select a device to which you want to see the log files from the list. Step 8: Click the “Associated Profiles”. a. Profiles will be added here with Name,source Associated,Information about association. b. If it is “successfully processed” ,go to next step to see the logs else, Check the profile if any Mistakes have done and correct it. 1. Click the “Logs” tab. 2. 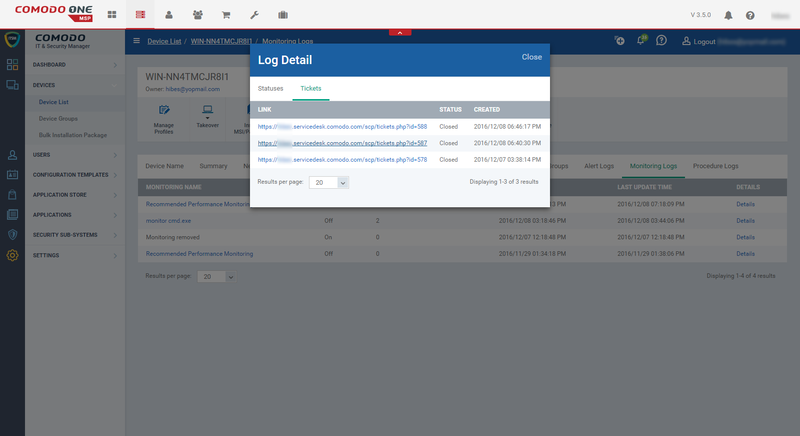 Click “ Monitoring logs” tab, the triggered alerts will be listed here with the following details Monitor name, Status, Hits Count(24H Period), last hit time, Last Update time and details.